TME’s offer has been enriched by ATECC508A and ATECC608A authentication ICs from MICROCHIP TECHNOLOGY. They are designed for IoT (Internet of Things) solutions and other applications that require an ultra-secure device authentication method before those devices start exchanging data. These circuits utilize the latest encryption algorithms – ECC and SHA-256. Furthermore, the ATECC608A supports AES-128 encryption which makes applications based on LoRaWAN solutions more secure. These circuits can store up to 16 keys of up to 256 bytes each, completely eliminating weak spots of software solutions. 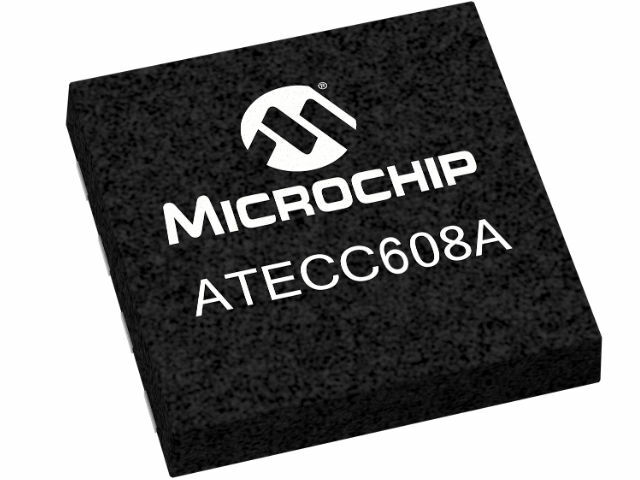 The ATECC508A and ATECC608A are compatible with every microcontroller and microprocessor. They ensure extremely low power consumption and require only one GPIO pin for communication. Thanks to their compact size they are a perfect choice for mobile solutions. ATCRYPTOAUTH-XPROB, AT88CK101SKMAHXPRO, EVB-KSZ9477, ATAVRBLE-IOT, AT88CK590 and one of ClickTM Board expansion boards: MIKROE-2829, MIKROE-2522.